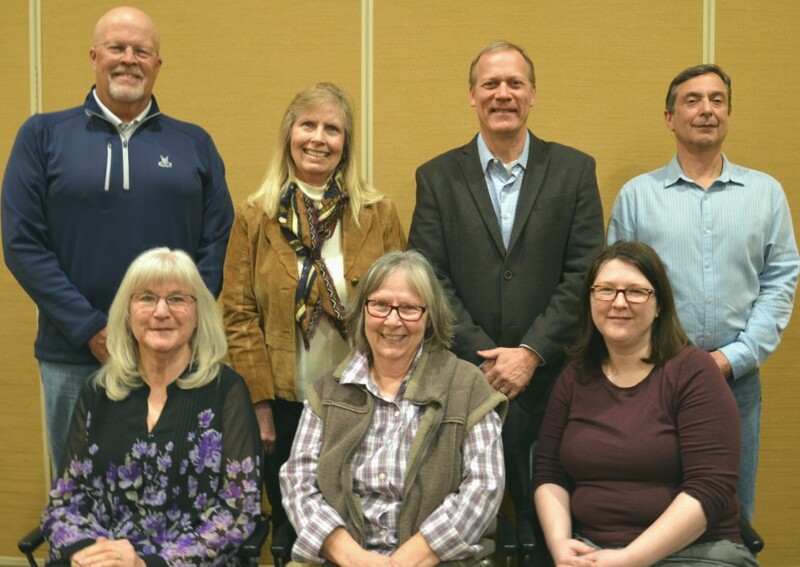 The seven-member Mesa County Libraries Board of Trustees governs the Mesa County Public Library District. The Board of Trustees adopts and oversees the budget, bylaws and policies; conducts long-range planning; and hires and evaluates the library director. Trustees are unpaid volunteers who serve a five-year term, renewable once. Trustees are appointed by the Mesa County Commissioners. Regularly scheduled board meetings are on the last Thursday of the month at 5:30 p.m. in the Central Library Monument Room, 443 6th Street, Grand Junction, Colorado, unless otherwise noted on the agenda. There is no meeting in November, and the meeting in December is the first Thursday of the month at 5:00 p.m. Time is set aside at each meeting for citizens to be heard. We welcome you to join us at our monthly meetings. In order to ensure a fair opportunity for public comment and to allow the Mesa County Libraries Board of Trustees to expedite its scheduled business, the following procedure for public comment is in effect. A public comment period will be provided at all regularly scheduled library board meetings. Citizens of the Mesa County Public Library District may address the board only during the time specified for public comment unless otherwise allowed by motion and approval of a majority of the trustees. Each speaker is limited to three minutes unless otherwise authorized by motion and approval of a majority of the trustees. Speakers may be directed to staff or other sources for responses to questions raised during the public comment period. REVIEWED AND ADOPTED ON MAY 25, 2017. Board meeting archives for all prior years are available for public inspection upon request in the MCPLD administrative office at the Central Library. Library report archives for prior years are available upon request in the MCPLD administrative office at the Central Library. Additional financial documents are available upon request. Please call Finance Director Laurie Cole with any budget questions: 970-683-2401.